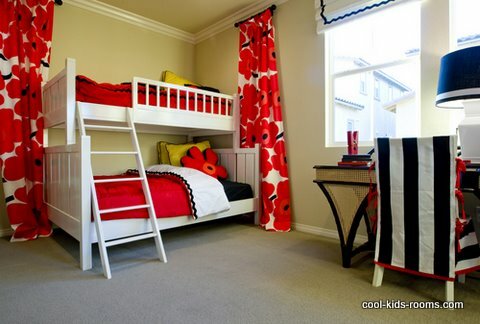 Teen bedrooms and teen rooms.15 Interior decorating ideas. In this guide on teen bedrooms and teen rooms, I will provide you with 15 interior decorating ideas that can help save time, money, and resources and ensure that the project that you work with your teenager on progresses smoothly. As a parent, you will discover that teen boys and teen girls have a style and form of expression that is all their own. You will find as your child progresses into their teen years, they will express an inclination to design their bedroom and other rooms in the home that they call their own using their own style, imagination, and personality. Naturally, this type of interior decorating project will take some collaboration between you, as the parent, and the teenager, but it is a task that can be easily accomplished. As you collaborate with your child on teen room decorating ideas, it is absolutely essential that you sit down together and discuss the amount of money that can be dedicated to the project. 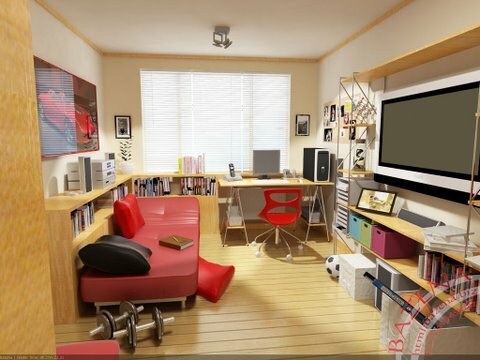 Rooms for teenagers can be relatively expensive to redesign. If there is a budget in place that specifies how much money that is available for the specific project, this will ensure that your teenager adjusts their interior decorating ideas based on that figure. 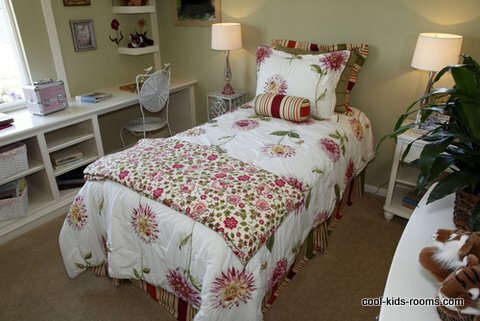 There are many different places to obtain interior decorating ideas on teen bedrooms and other types of teen rooms. It is important that you and your child work together to examine various types of resources for ideas. You may discover many ideas by researching websites on the internet, reading books that specialize in home improvement and/or decorating techniques and even some television shows that specialize in teaching how to design particular spaces in the home. When in the planning stage of decorating a teen room, the first consideration should be space availability. You should determine methods that can allow your teen to optimize the amount of space that they have overall. There are a few spaces in the room that can be used to store clothes, magazines, books, and other types of collectibles. These spaces include those in closets, as well as the space under the bed in the room. There are modular closet organizers, under the bed storage organizers, and several other types of products that are specially designed for this purpose. Colorful baskets placed on the shelf are great and fun alternative for storage. It is important that you and your teen work together to ensure that all available space is used to its best capacity. The flooring is another area of consideration when doing interior decorating in a teen room. Hardwood floors, linoleum and tile are good options. They are easy to clean and easy to change look and feel of the room by just replacing small rugs. Walls are another area of interest when it comes to teen bedroom interior decorating ideas. 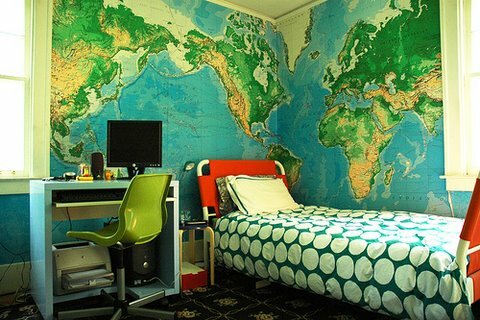 There are many creative ways to decorate the walls of the bedroom that is suited for a teen. You can add new paneling, you can throw on paint, you can paint an accent wall or you may elect to place wallpaper on the walls. This is a choice that you and your teen will need to decide on. Does your teenager love to listen to music or even better plays instruments? If so, there are a number of things that you can do in order to absorb the sound that is emitted from the music that they listen to. 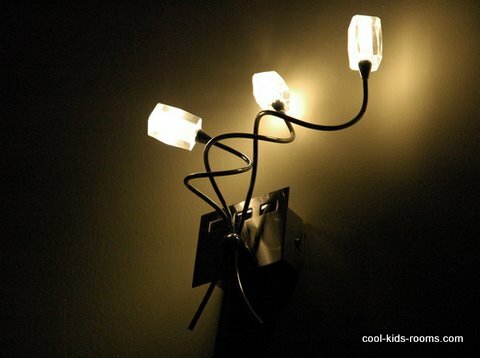 These things can add a high level of decorative appeal to the teen bedroom. They include placing throw rugs throughout the room, placing decorative upholstered furniture for your teen and their friends in the room and even integrating a heave fabric window in the room. You can change the appearance of the furniture by painting it, adding funky drawer pulls, using new upholster, or simply by integrating the use of furniture covers. Window treatments are another option that should be considered when changing teen bedrooms. You can add or eliminate curtains, blinds, and other types of coverings to change the appearance of a teen room. Just be sure it is not boring. Sheets, comforters, and other types of bedding can be incorporated into the teen’s bedroom in order to change the overall appearance of a room. 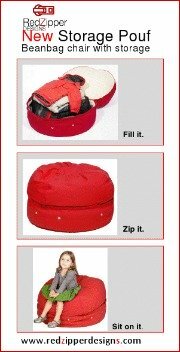 This can be very inexpensive way to change look and feel of the room. Adding new lighting is another option that can be done with little to no difficulty. 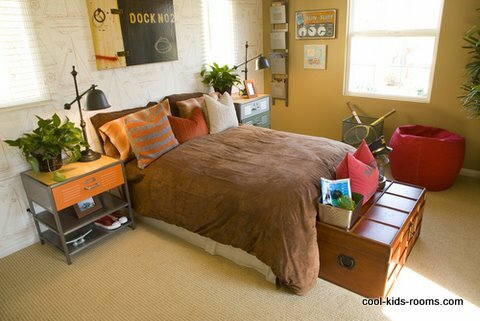 Colorful lamps, hanging wall lamps, desk lamps, and floor lamps can be used to shed “new light” on a teen bedroom. Cork pin board can add a lot of personality to the room. To make it more decorative, you can paint frame and a cork board with a primer. Choose color that will go well with your kid's room décor. Your teens can put there photos of there friends, pets ant pictures from vacations they went on. You can add mirrors, bean bag chairs, video game chairs, and other types of items in order to quickly switch up the teen bedroom without spending a lot of money. Trash can and laundry hamper will help to keep room neat and tidy. If there is room in the home and you have the budget to do it, adding a small bathroom with a sink, toilet, and shower stall can be extremely beneficial when it comes to enhancing the appearance of a teen bedroom. Last, but not least, when decorating teen bedrooms, remember to consider the safety of your teen. While smoke alarms and monoxide alarms may not add a lot of decorative appeal overall, they can help prevent injury and death should a fire or gas leak occur in the home. By using these 15 interior decorating ideas, you can successfully change the appearance of teen bedrooms and teen rooms throughout your home!